Over 11 solid wood types, 200 RAL colours, doors and drawers, with any dimension configurable - anything is possible. Find out for yourself or let us advise you. 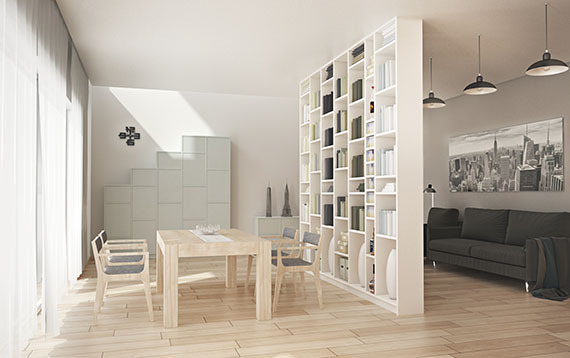 Design your shelves to your exact requirements and choose from up to 11 solid wood species or MDF. Many options such as drawers and doors can be added in our simple online configurator. Chests of drawers with drawers or doors, in any colour, with or without feet - our configurator makes it simple. Simply design your dream chest of drawers by yourself, in just a few steps, using our configurator. Dining tables, office desks or coffee tables made to measure - simply design them yourself. Choose from a range of models and let us custom-build your table to your specifications and in your choice of wood. Our wall cube shelves are quick and easy to fit on the wall. Just choose the dimensions and select a colour from up to 200 RAL options - and you’ll be creating your own style on the wall in no time. Thousands of customers already trust Pickawood furniture quality - in solid wood or MDF. Look at our many customer references and read a few reviews. You can also see our transparent evaluations at Trusted Shops. You can order up to 4 wood samples, free of charge and delivered to your home, to test the quality of our wood. Select from our wide selection of solid woods, then take your time to decide which type of wood you prefer, or which goes best with your existing furniture. We can happily advise you on your choice of wood. We can give you a non-binding quote, including configuration, on the basis of a drawing you provide - upload now! Great references and customer reviews, a tested and secure shop and lots of payment methods - find out here for yourself. Free delivery in Germany, delivery to your apartment, construction service and competent advice: services made to measure. We are here to help you. Got questions about our products, about details or about delivery? Or do you have a special request or requirement? Then call us (you can reach us Mon-Fri between 09.00 and 18.00), send us an e-mail or use our live chat. Our employees are there for you at every step - from your first thoughts about your dream furniture right through to assembling the finished items. Ordering from Pickawood is child’s play. Measure the space for your new furniture item and choose the timber species and colour. You are welcome to request free wood samples to help you choose. Next, either use our simple configurator to design your shelf or table step by step or discuss your wishes with our advisors. Security is something we take very seriously. All your data with all payment methods is therefore SSL encrypted . Payment options include purchase on account (for order values up to € 500), bank transfer, PayPal and credit cards. Our additional, optional Trusted Shops warranty offers you buyer protection for yet more security. When you buy your custom furniture online from Pickawood, you can thus rest assured that you are always on the safe side. The special furniture delivery service offered by DHL gives you dependable and problem-free delivery. We will bring your custom furniture to your home address and deliver it direct to your apartment. If you wish, we can assemble the furniture for you on the spot. Assembly is done either by specially-trained DHL employees, or, for special requirements, we will work together with fitters from your particular region.